Full reforms at incredible prices! If your bathroom has outdated fittings, has an outdated look, then it is time to remodel your bathroom. Having your bathrooms renovated will be a very exciting time. It is a time to look around at the latest fashions and assess whether you want a modern look, a traditional look, or a combination of both. 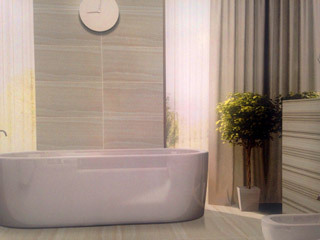 With our experience and flair we will design and install for you a bathroom to your requirements. We will also take the hassle out of a new installation, as we will source the tiles, accessories, and furniture styles, and if you are not here to make a decision, we will send full specs and photos to you to approved before the work commences. We work to the highest standards and have a real eye for details and the styles that would suit your property and the space that we have to work with. We also undertake all plumbing, electrics, lighting, ceiling work, carpentry and paint work. The whole job from the first thought, to the final clean.